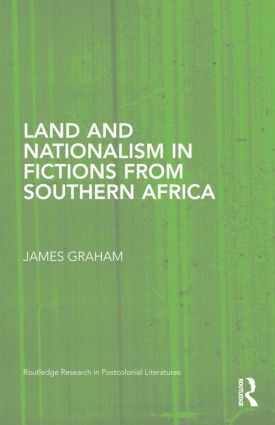 In this volume, Graham investigates the relation between land and nationalism in South African and Zimbabwean fiction from the 1960s to the present. This comparative study, the first of its kind, discusses a wide range of writing against a backdrop of regional decolonization, including novels by the prize-winning authors J.M Coetzee, Nadine Gordimer, Bessie Head, Chenjerai Hove, and Yvonne Vera. By employing a range of critical perspectives—cultural materialist, feminist and ecocritical—this book offers new ways of thinking about the relationship between literature, politics and the environment in Southern Africa. The return of land has been central to the material and cultural struggles for decolonization in Southern Africa, yet between the advent of democracy in Zimbabwe (1980) and South Africa (1994) and Zimbabwe’s decision to fast-track land redistribution in 2000, it has been limited land reform rather than widespread land redistribution that has prevailed. During this period nationalist discourses of reconciliation and economic development replaced those of revolution and decolonization. This book develops a critique of both forms of nationalistic narrative by focusing on how different and often opposing idea of land and nation are reflected, refracted and even refused in the fictions.